​ Your Way to Keto Success! Delicious Dinners & Decadent Desserts the Whole Family Will Love. A digital cookbook with resources to help you maintain a low-carb lifestyle without missing out on the foods you love. Sound familiar? Well it's time to set it and forget it! The beauty of the recipes in this digital cookbook is that they take only a few minutes to toss into the slow cooker. Hours later, you'll have an incredibly delicious and tender meal for the whole family. Save time without sacrificing on nutrition! Fall back in love with fa​​​​t! By now, you know having healthy fats in your diet is extremely beneficial. After years of being sold low-fat products, it can be hard to reintroduce healthy fats in a tasty manner. We've got you covered with this digital cookbook. Every recipe is packed with good fats to fuel your day and kill cravings. Here's Why Slow Cookers Rock! Slow cookers have the magical ability of turning cheap cuts of meat into some of the most tender and delicious meals you've ever had. That means you're saving money without sacrificing on taste. Do I need a bunch of fancy stuff to make these? Nope! We use the simplest of ingredients. Nearly everything used throughout this book can be found at your local grocery store. 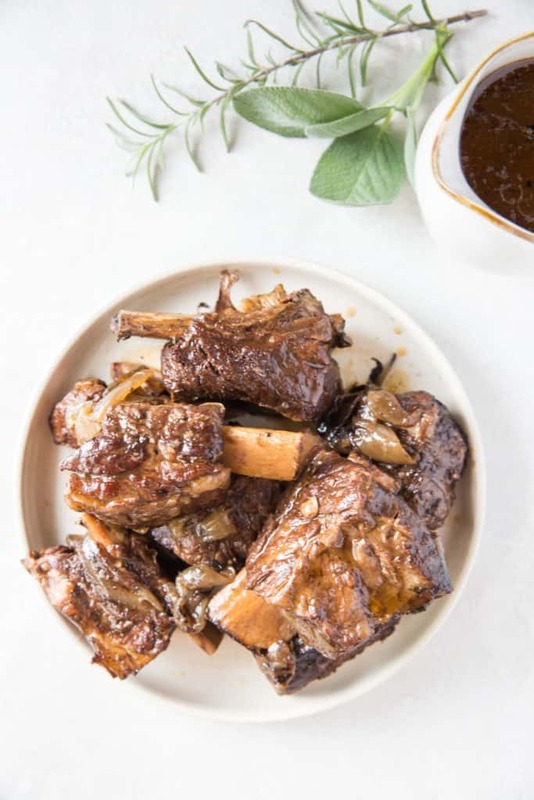 We might even use some things you've always seen at the grocery store but never knew how to prepare like lamb shanks and oxtails! How often do you find yourself in this situation? You're super busy at work, you've got to pick the kids up from soccer practice and you'd like to have a healthy meal waiting for them at home. Life can be a balancing act and Slow-Cooked Keto is here to help. Just take a few minutes to load up your slow cooker in the morning or on the weekend and you're all set. You've got a healthy dinner that you can feel good about feeding your family. 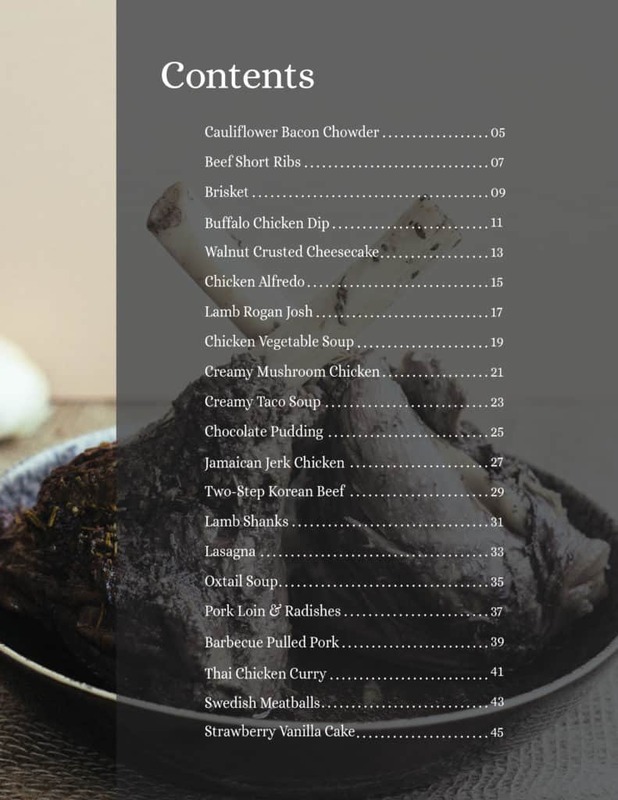 Megha's personal favorite recipe in the book is the Beef Short Ribs. She has always loved short ribs but usually had to settle for only getting them when she went to a fancy restaurant. For this cookbook she decided to master the recipe so she could whip it up any time she wants! 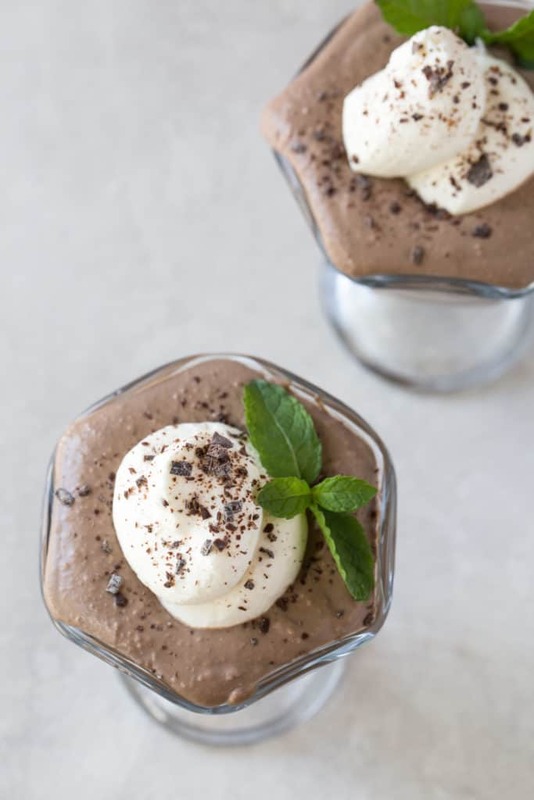 Matt has a huge sweet tooth so it's no surprise that his favorite recipe in Slow-Cooked Keto is the Chocolate Pudding. The fun thing about Slow-Cooked Keto is the ingredients and flavors can easily be altered for most of the recipes. So if you really like the way something looks, but you don't like a few of the ingredients, it's easy to make substitutions. Over 20 delicious low-carb, high-fat recipes. Most of the recipes are filling dinners that are suited for the whole family. We decided to sneak a few desserts in as well...we couldn't help ourselves. Every recipe is suited for a ketogenic lifestyle - Gluten-free, sugar-free. Nutritional breakdown for every recipe - Fat, protein, carbs, fiber and net carbs. 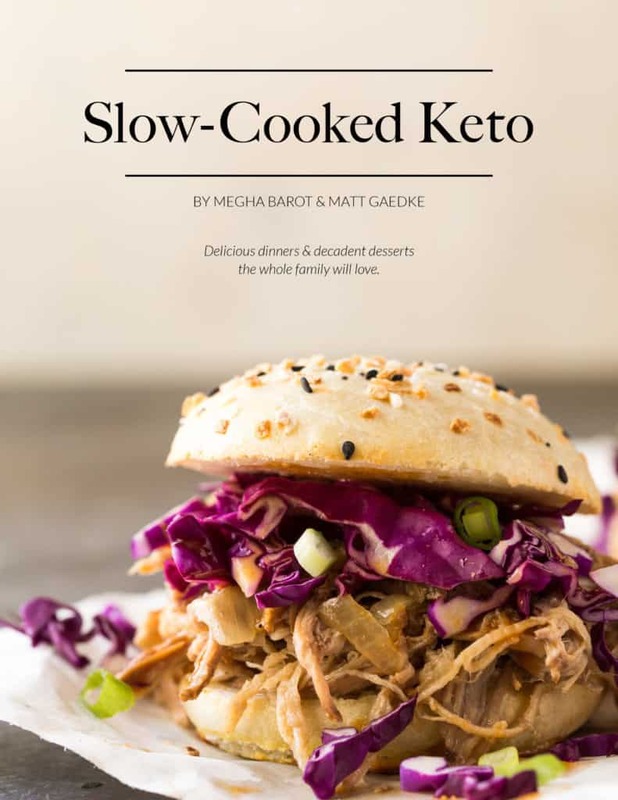 An instant interactive download of Slow-Cooked Keto which was built for display on phones, tablets, desktops and is printer-friendly. Slow Cooked Keto is sure to be a Fall and Winter staple in our home. There's nothing more comforting than having a hearty, delicious meal waiting for me after a long day at work. 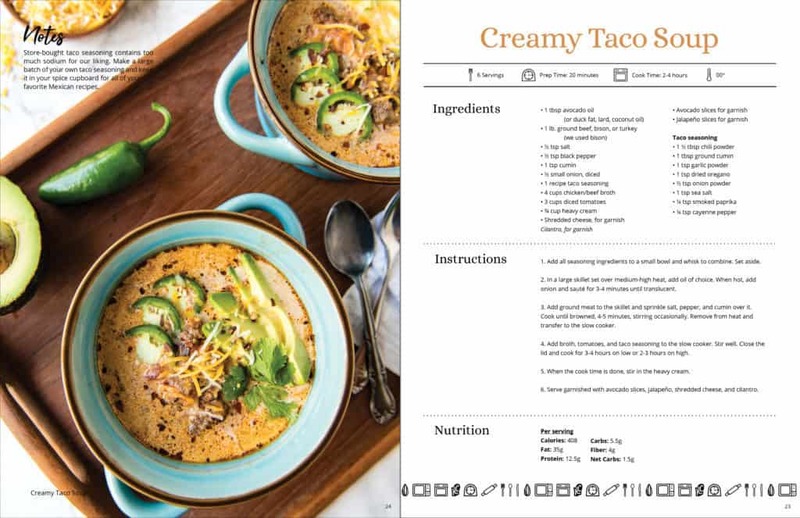 This book is perfect for anyone new or experienced with keto who's looking for delicious ways to bring in creative comfort meals to their keto lifestyles. The Best $10 I've Spent! 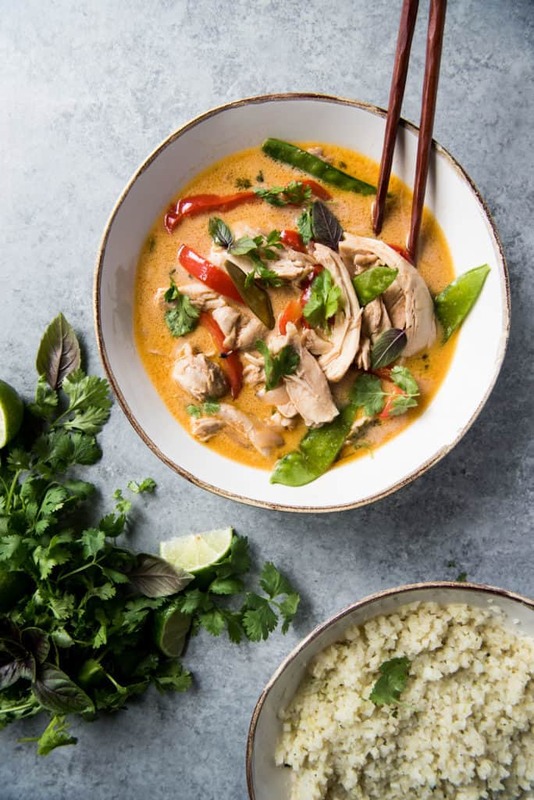 My favourite thing about this cook book - Keto Connect has included so many cuisines - Creamy Taco Soup, Jamaican Jerk Chicken, Indian Lamb Rogan Josh, Korean Beef, Thai Chicken Curry and more! AND simple ingredients, minimal prep time, a slow cooker and $10 is all I need to save me SO MUCH time and fulfill our restaurant cravings at home! Megha and Matt strike recipe gold yet again! As an entrepreneur and mom of 2, I am thrilled to have a cookbook for my slow cooker. I love to make dinner everyday but am constantly short on time so this is literally the most useful (and exciting) book to have on hand for this winter in New York! Megha and Matt strike recipe gold yet again.